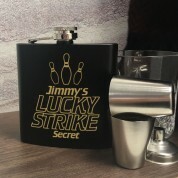 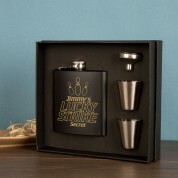 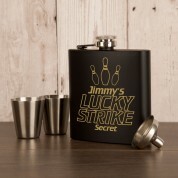 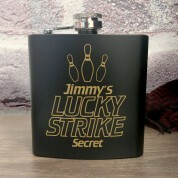 For the lover of 10 Pin Bowling this Hipflask is a must have accessory to their favourite sport. 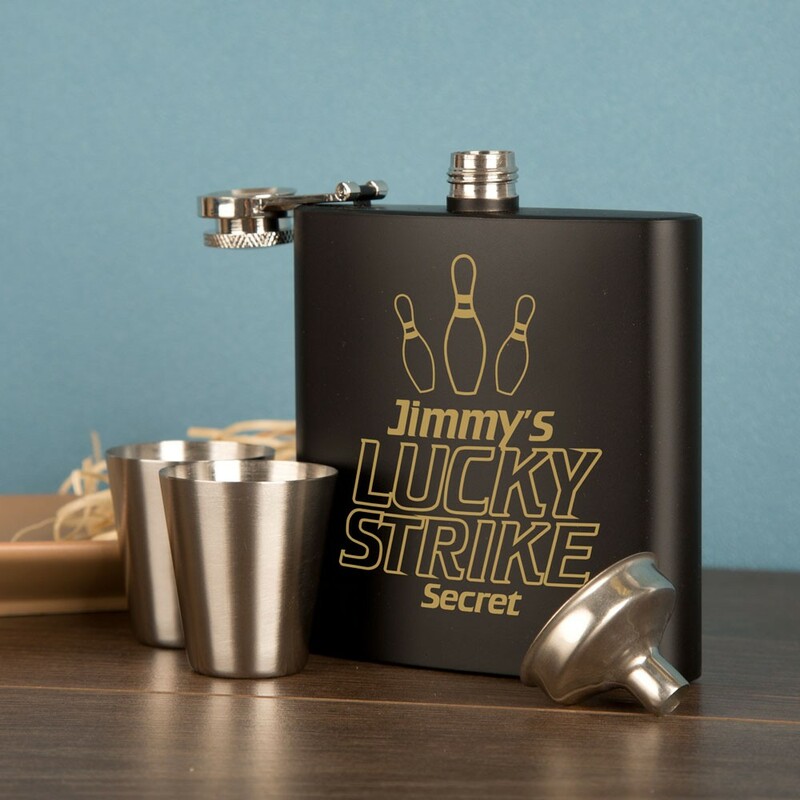 Designed as a fun gift but packaged and presented for any serious Occasion such as a Special Birthday or Retirement Gift. 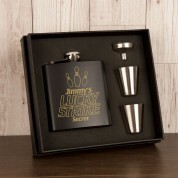 Your Black Hip Flask is Personalised via Laser Engraving and is accompanied by two drinking cups and a pourer.